AllAboutFranceThe inspiration for this post, came to me while walking beside the Wey Navigation Canal, last week. It was a circular walk starting and finishing at Guildford via Farncombe Boat House. It’s a great walk, probably about 10 miles, with an optional stop for tea and homemade cake, at the boathouse. Very delicious cake as well! 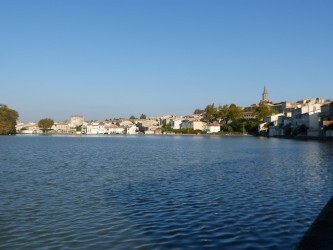 I was walking with a former teaching colleague and updating her on our French home in Castelnaudary. As I’ve said too so many times, I love the Canal du Midi and one of the reasons we bought our house is because it backs on to the Canal. I am always amazed that the 150 mile (240 km) long canal was actually constructed during the reign of Louis XIV. I find it incredible that such a feat of engineering could have been undertaken at this time. The construction lasted from 1666 to 1681 and it was Pierre-Paul Riquet who designed and built the canal to transport wheat, wine and textiles. It took 12,000 workers and, apparently, a large part of them were women. It opened on May 15th 1681. The Canal du Midi became a UNESCO World Heritage Site in 1996. Here is the ‘Justification for Inscription’ by UNESCO. Have you ever visited the Canal du Midi? Perhaps you’ve rented a boat and travelled down the Canal? Or maybe you’ve cycled beside it? I’d love to know! I’m sharing this post with #AllAboutFrance. 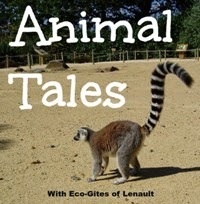 This is the place to find lots of interesting blog posts which all have a French focus. I love the photos and enjoyed the video. We were thinking of going to Paris for Thanksgiving but the price of flights is absolutely horrific. You are so lucky to have that home. It’s like a fairy tale!!!! I had my first visit to the Canal du Midi earlier this year and I found it to be an incredible place. I’ve been reading up on the replanting of plane trees there, due to the canker strain that prompted the demise of many of them. Still offering beauty, the people of the area are stepping up. 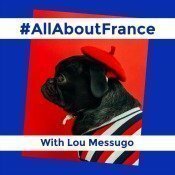 Very beautiful #AllAboutFrance post! Thanks for commenting, Jill. Glad that you liked the Canal du Midi as much as I do! It’s very sad that the plane trees are having to be felled but, as you say, a very good job is being made of the replanting. I used to love walking along the Wey Navigation Canal when I lived in Surrey – it was like a hidden world. Worlds apart from the Canal du Midi, but they both had a very tranquil feel to them. Thanks for the trip down memory lane! Thanks for visiting. There’s something very peaceful about walking alongside a canal, I agree!